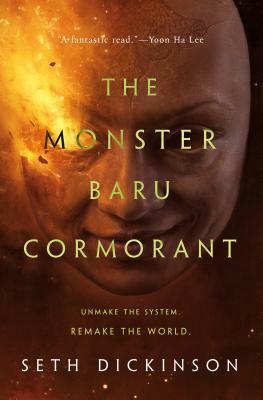 A breathtaking geopolitical epic fantasy, The Monster Baru Cormorant is the sequel to Seth Dickinson's "fascinating tale" (The Washington Post), The Traitor Baru Cormorant. Her world was shattered by the Empire of Masks. She betrayed everyone she loved. The traitor Baru Cormorant is now the cryptarch Agonist—a secret lord of the empire she's vowed to destroy. Hunted by a mutinous admiral, haunted by the wound which has split her mind in two, Baru leads her dearest foes on an expedition for the secret of immortality. It's her chance to trigger a war that will consume the Masquerade. But Baru's heart is broken, and she fears she can no longer tell justice from revenge...or her own desires from the will of the man who remade her. SETH DICKINSON's short fiction has appeared in Analog, Asimov's, Clarkesworld, Lightspeed, Strange Horizons,Beneath Ceaseless Skies, among others. He is an instructor at the Alpha Workshop for Young Writers, winner of the 2011 Dell Magazines Award, and a lapsed student of social neuroscience. He lives in Brooklyn, New York. The Traitor Baru Cormorant is his first novel.